LEGO is merging physical and virtual worlds to enhance the brick-building experience. 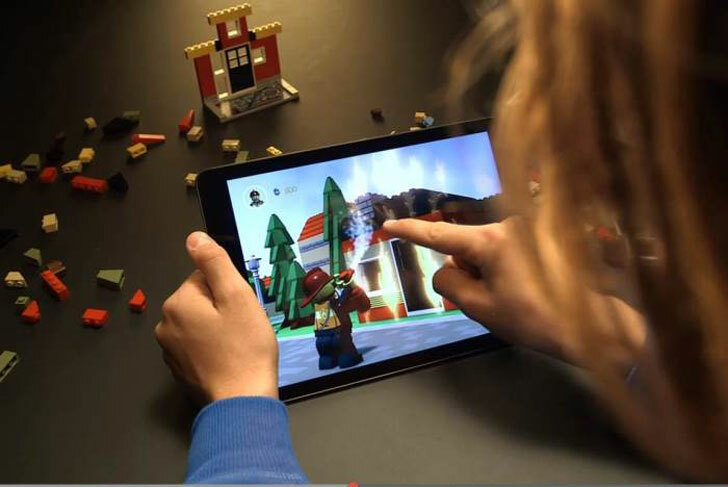 This August, the toymaker will launch LEGO Fusion, combining the creative, dexterity-building bricks with an app that lets kids construct their own virtual worlds based upon the shapes they create with their tangible LEGO pieces. LEGO Fusion will come in four themes: Town Master, Battle Towers, Create & Race and Resort Builder, and will be available for iOS and Android for both smartphones and tablets. 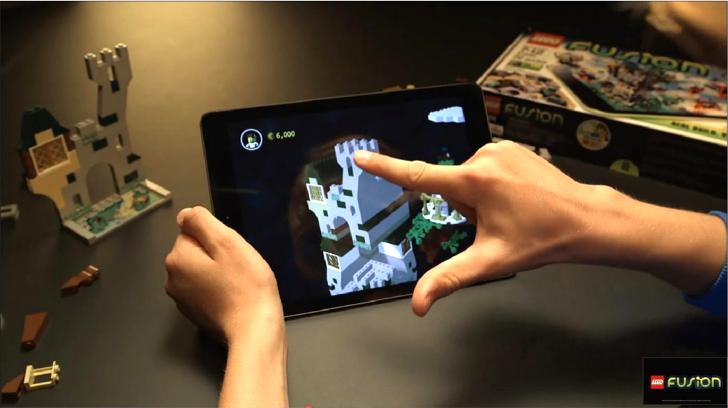 With LEGO FUSION, kids build physical structures with LEGO bricks and play with their own designs in an app-based game. Each box set comes with more than 200 bricks and a LEGO Fusion plate. After downloading the app, children construct their brick designs on the plate, and photograph the result with a tablet or smartphone. The base plate also interacts with the app via a scannable code. The real-life object is then imported into the game, bringing the game’s world and residents to life. As children progress though the game they are given challenges, solve missions, play mini games, and earn in-game rewards. The game and its characters also evolve, requiring children to build and input further real life constructions as the game becomes more complex. Children can continuously shape the game and its outcomes in whatever direction their imagination takes them, and they can also share their designs online with friends through the game. LEGO Fusion is designed for ages 7–12 years. As children progress though the game they are given challenges, solve missions, play mini games, and earn in-game rewards. The game and its characters also evolve, requiring children to build and input further real life constructions as the game becomes more complex. Children can continuously shape the game and its outcomes in whatever direction their imagination takes them, and they can also share their designs online with friends through the game. LEGO Fusion is designed for ages 7–12 years.